Join #TeamCPABC on October 13th 2019 as we participate as a partner of the CHEK Charity Pledge Program for the third year in the GoodLife Fitness Victoria Marathon! Get ready to run the Marathon, Half Marathon, 8K Road Race, or Thrifty Foods Kids Run. This year is going to be bigger and better than ever so don’t wait to sign up. We will have updates coming shortly, so check back here or on our social media for codes, race information and incentives! Your involvement in the CHEK Charity Pledge Program with CPABC means you are supporting individuals living with cerebral palsy and other disabilities across British Columbia access the essential programs and services they need in order to live a Life Without Limits! For more info on these races or how to sign up, contact Lindsay at events@bccerebralpalsy.com or call (604) 408 9484. We can’t wait to see you on #TeamCPABC again this year! 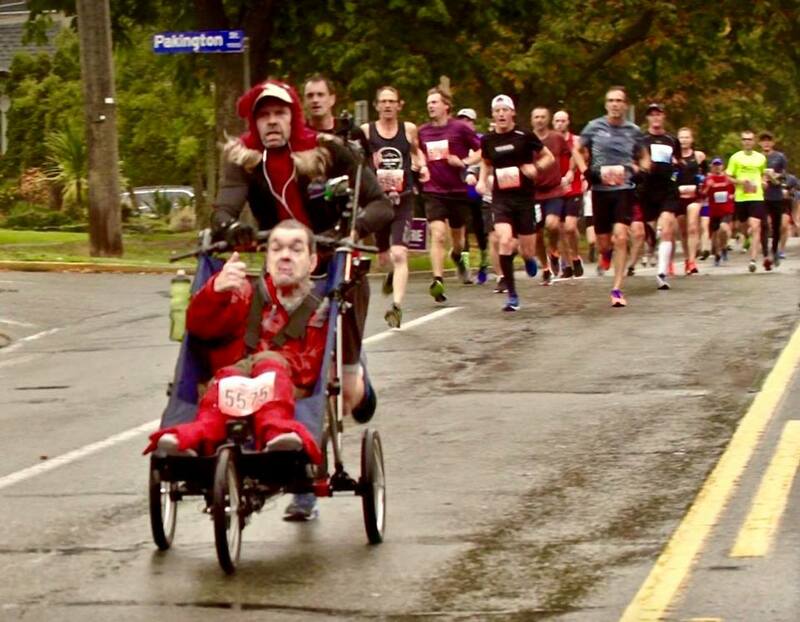 On October 5, 2018 the Cerebral Palsy Association of BC took part in the GoodLife Fitness Victoria Marathon event. This was our second year taking part in the event and with the incredible support of 10 participants who made up #TeamCPABC as well as generous donors, we were able to raise $3,000! Jason Cole and Rand Surbey, members of #TeamCPABC running the half marathon at the GoodLife Fitness Victoria event.